We would like to introduce our company ‘BUMP N JUMP’ to you. A WA family owned and operated business. Providing you with Licensed Disney©, Dreamworks© and Warner Bros.© bouncy castles for hire for any occasion, birthday or special event. Create a Day to Remember! 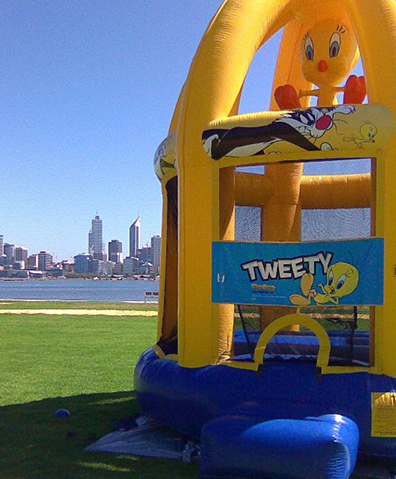 We are focused on providing a high level of service for the hire of bouncy castles throughout Perth. Our aim is to supply our customers with a bouncy castle that will provide them with hours of entertainment and in return leave them with a memory of a day they will never forget. Catering for Birthdays, Fetes, Fund Raisers, Family, Christmas and Sporting functions, etc. We have Disney© and Dreamworks© come to life in your own backyard. Our Castles are made in the U.S.A. using the latest technologies to comply with Australian Standards. Fun and safety is our number one priority. Our Castles are fully enclosed with large netted windows to allow clear supervision of children inside. 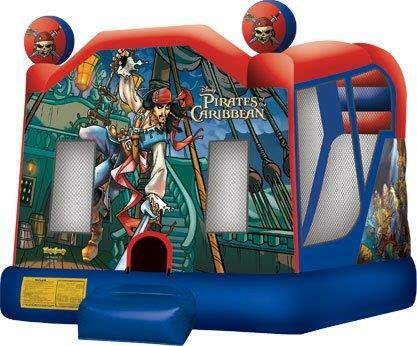 This prevents potential falls which can occur with conventional bouncy castles. Being fully enclosed our castles also give protection from the sun and rain. Parents can also join the children as well. Most Castles have restrictions for adults – ours don’t. After each rental every Castle is cleaned and disinfected, ready for our next customer. We are insured for $10 Million public liability and can provide a certificate of currency on request. Supervisory Services are available on request at a reasonable rate for Fetes and Functions or even if you just want to relax at your child’s birthday. We deliver to all areas around Perth. We offer an efficient and friendly service. We pride ourselves on customer satisfaction and offer competitive rates.